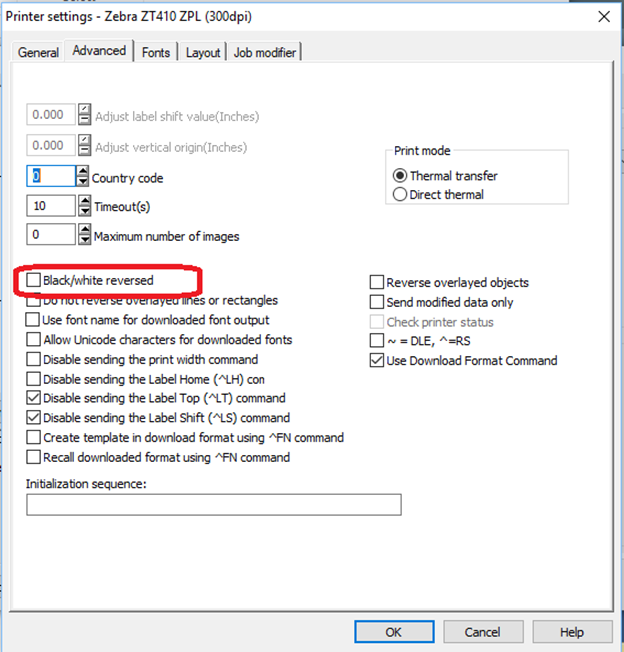 This Reference Article defines and explains the topic of how to print labels using white on a black background instead of the typical black on white. Others refer to this as Reverse or Negative printing. We recommend one of these three methods to achieve this as described or linked below. Design the Label to Reverse the Colors of some or all of the objects. Note: This method requires the use of a thermal transfer printer that uses a ribbon. For direct thermal printers, use one of the other methods. Purchase black label stock and white thermal printer ribbon through your usual channel. If you need assistance, contact Efficient Business Products. This is the simplest and most cost-effective method, however not all printers support this feature. Open label design as normal. Select File / Printer setup or click on the Printer setup button. 3. Check the appropriate box, labeled variously “Black/White Reversed”, “Negative”, etc. to reverse the print. 4. Click OK and continue the remaining steps to print as normal.